Matt Houston is Principal of MLH Enterprises, a Dallas-based firm that provides education, professional development, and political consulting to organizations across the country. Clients include The Nelson Mandela Foundation, KIPP Charter School System, Centurion America and other corporations in the Dallas area. Matt was previously Executive Director of Group Excellence, a mentoring and tutoring company that provides programs to schools across the country. By hiring the best professionals, undergraduate and graduate students, and educators, Group Excellence sets the standard in preparing students for college and life. A desire to drive change, specifically in the area of economic equality for all, is Matt’s personal mission. Houston believes the path to success is through education and business creation. To that end, Matt works tirelessly to advocate for new businesses, wealth and job creation, and communities that create and value their economic engines. Matt is currently Professor of Entrepreneurship at the University of North Texas at Dallas College of Business. 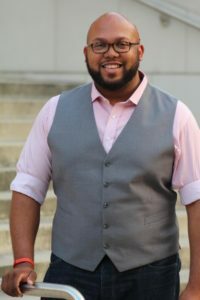 Matt also serves as Vice Chair of the Dallas’ City Planning Commission, exec board member of the Dallas Black Chamber of Commerce (serving as Chair from 2013-2015), the Trinity Commons Foundation, and the Dallas Chapter of the National Association for the Advancement of Colored People (NAACP), serving as Economic Development Chair. In his free time, Houston is an active member of Oak Cliff Bible Fellowship and is a member of Alpha Phi Alpha Fraternity, Inc.
Matt is a native of Dallas and earned his bachelor’s degree in Economics from Southern Methodist University (SMU) and his Masters of Business Administration degree from the Neely School of Business at Texas Christian University (TCU). He was also in the Blueprint for Leadership Program Class of 2008 (Center for Nonprofit Management) and Leadership Dallas Class of 2012 (Dallas Regional Chamber).